MS seem to have altered something in Windows 10, and this is affecting parts of the program which delete the task and also disable/enable the task when turning off both stats logging options. You can also edit the programs properties and on the compatibility tab tick the checkbox to "Run this program as an administrator", and then clip apply. Each time you run the program you will get a UAC window pop up though (there are ways around this without turning off UAC). Note: This only so far seems to affect Windows 10, W7 & W8.1 and also Windows Home Server 2011 seem to work as they should. I will try to pursue a proper fix in due course. I've released a minor update to handle the change in URL for the TBB ping monitor graphs, since they updated the website the URL has changed, old URLs still work though. I've released a minor update to the graphic user interface, this removes and turns off My DSL Webstats uploads as the service is closing down. The code is still in there, but hidden, so should the service come back I can reactivate it, BUT it relies on everything else being the same as I have no access to the code that actually uploads the data - Baldeagle1 has not been on the forum for over a year now. 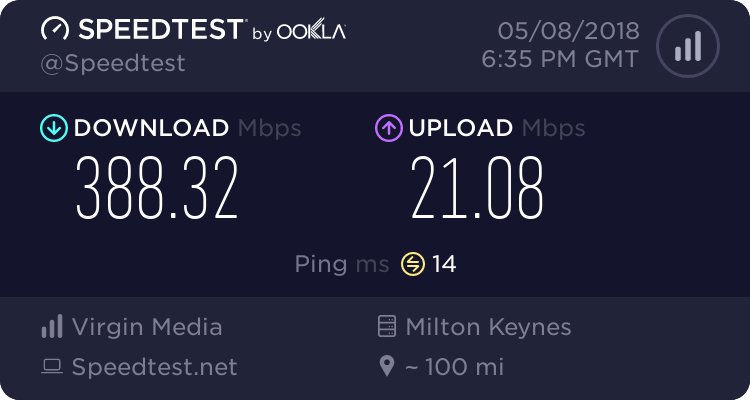 Just a quick note to say that I've changed broadband suppliers, so the update check will fail as I've yet to fathom why my home hosted website is not reachable. Thanks, it's all fixed now, meant to post back, but forgot.